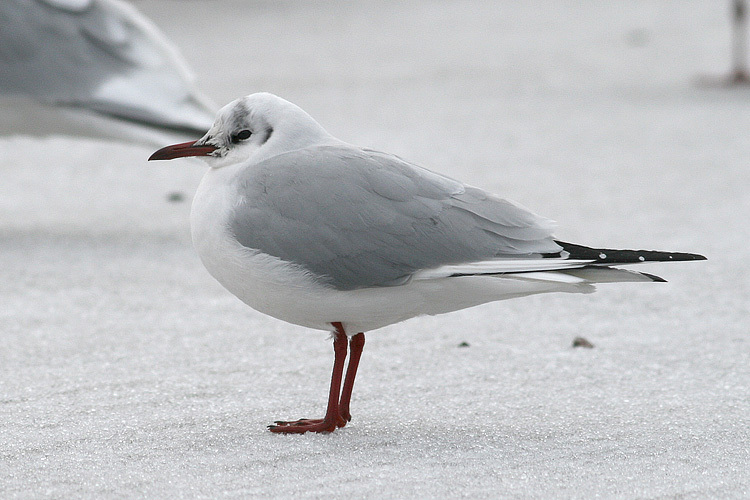 Black-headed Gulls are most abundant in winter, but are found here year-round and are established breeders in at least a few locations. Origins: A predominantly Eurasian species that breeds abundantly in Iceland and has now colonized Newfoundland in small numbers. Known breeding sites exist on the west coast around Stephenville Crossing, but it is likely that small numbers also nest in locations around the island (potentially among Ring-billed Gull colonies). Details: This species is present year-round in many locales around the island (especially in and around Stephenville Crossing), but numbers surge during winter. More than a hundred are found in St. John’s alone most winters.